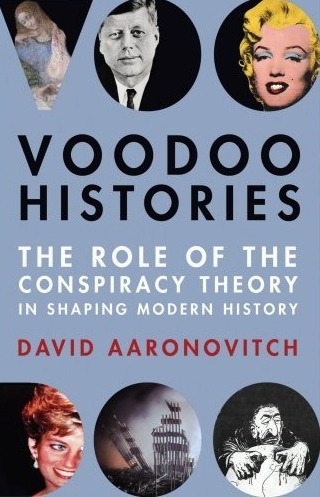 Voodoo is an interesting term to use, as Voodoo is (Haitian) Satanism, which created the Matrix! Here is a classic in the genre, to file alongside those lone gunman books! No doubt filed under 'comedy' at the Hellfire club, and the Ministry of Truth. There are more red flag to 911 than an old Chairman Mao parade (rivals the AIDS hoax): disappearing planes, passengers, terrorists, black boxes, and CCTV tapes just for starters. They have had fly by wire technology for decades which not only allows them to fly planes from the ground but also to take them over. Melted cars, and so on. Then the wider picture shows a long list of proven False flags like Gladio. You can read the same Conspiracy theory line on Wikipedia, also controlled by the Powers That Be. His 'there-are-no-conspiracies' propaganda is based purely on Appeal to incredulity. He won the the Orwell Prize in 2001, which, especially with this effort, is on a similar level of irony to Kissinger winning the Nobel Peace Prize! "Hundreds, if not thousands, would have to have been directly involved in different aspects of the conspiracy. And all of them would have to have been either fanatically committed to the project or else almost unimaginably immoral. Think for a moment about the men who rigged the twin towers with explosives." COMMENT: 'unimaginably immoral' is a classic appeal to incredulity. Try Kissinger's CIA wars just for starters! That should help your imagination! Then Kissinger's Narcotic trade (eg crack into LA). The 6 million third worlders would be a nice primer for a few thousand American's in the 911 False flag, and don't let's forget the million or so killed by Allopathy every year. While the Phoenix programme, Assassinations & Psychopaths should be nice primers for 'Think for a moment about the men who rigged the twin towers with explosives'. Failing that ask the men who create Mind control killings & Serial killers, or the men who slaughtered in The Port Arthur Massacre, they would be up for the job! Also watch Kay Griggs whose husband was one. And so on, and on. Not something you would find in The Times!